I shared my recipe for Greek Yogurt Blueberry Banana Bread a few weeks ago, and it was an instant hit with YOU, my readers. Some of you have made it multiple times already; it's been pinned and repinned more than I can count on Pinterest, and is one of my most popular recipes. Well, one of my readers asked about making a strawberry version last week because she was out of blueberries... and the idea sounded so yummy I had to make it myself!! At 9PM last night :) I substituted strawberries for blueberries, Chobani Strawberry Banana Greek Yogurt for plain, and left out the vanilla. I must say... it was pretty darn delicious! And I might even like it better than the blueberry!! 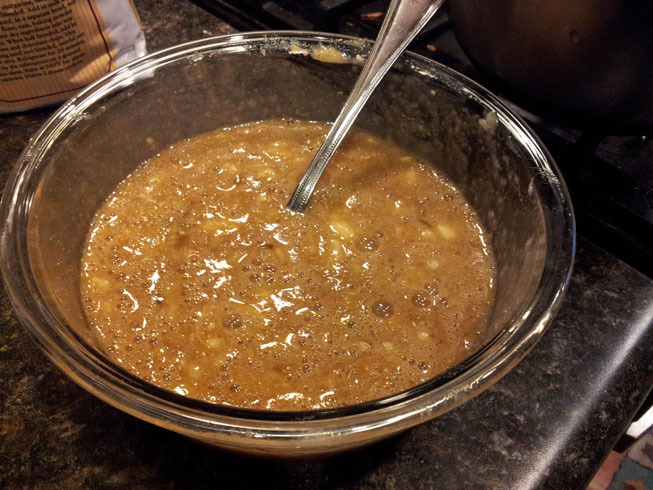 This time my bananas were more ripe (softer) so I just left the mixture a bit lumpy, rather than blending it. 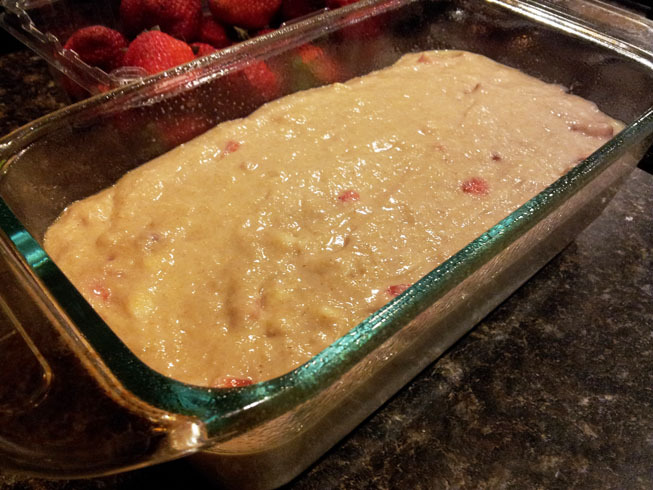 I combined it with the dry ingredients and strawberries, and then got it ready for the oven to bake for an hour. 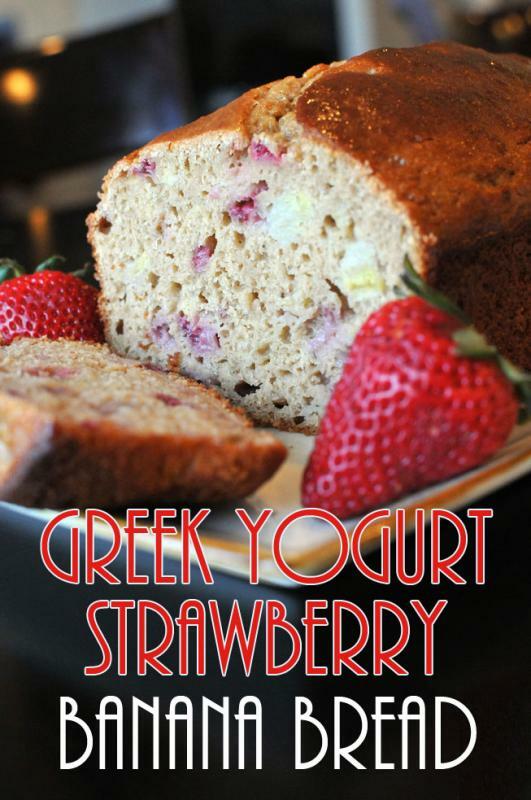 And voila, super moist delicious greek yogurt strawberry banana bread! Let it cool for 10 minutes (if you can stand it!!) before slicing it. The first slice I ate with just a bit of butter on it (shown at top), but the second slice (YES, I INDULGED IN 2!!) I ate with a thin layer of nut butter. Oh.My.Goodness... DELICIOUS!!!! 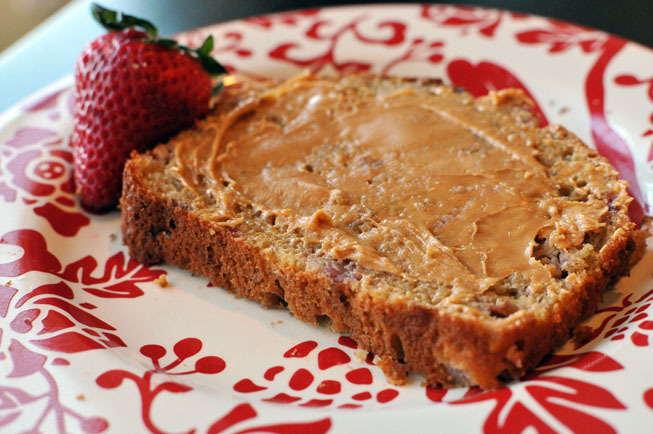 Super moist, delicious Strawberry Banana Bread made with Greek Yogurt.